American Wholesale Property: Great real estate investment opportunity in one of Houston's hottest neighborhoods! 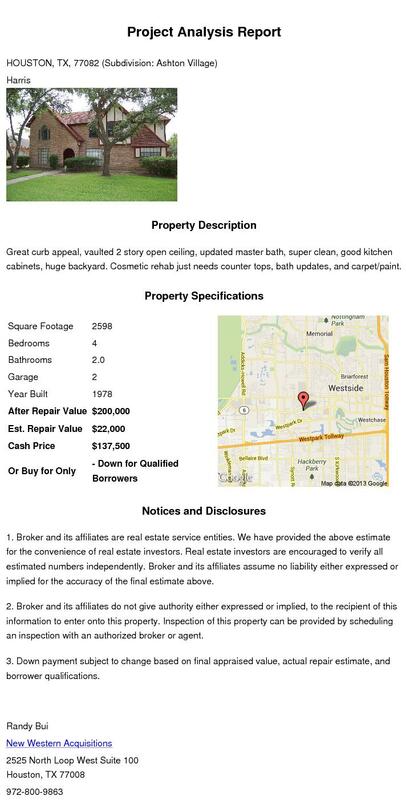 Great real estate investment opportunity in one of Houston's hottest neighborhoods! Great opportunity in BOOMING Oak Forest! Nice curb appeal on this 4 sided brick house! The garage will be taken as part of the habitable sqft to fully utilize space. The property will be a 3/2/0 with 1300-1350 sqft and a carport. Plenty of money in rehab to make this one really shine! Super low avg days on market of just 6!!! ALL sold comps within past 3 months! Get in touch w/ a New Western agent to check this one out!